All Sherwood homes currently listed for sale in Sherwood as of 04/21/2019 are shown below. You can change the search criteria at any time by pressing the 'Change Search' button below. "FOR THOSE WHO PREFER THE CLASSIC COUNTRY LIFESTYLE - LANGDON CAN DELIVER ALL THE SERENITY AND SOLITUDE THAT COUNTRY LIVING HAS TO OFFER. IT'S HARD TO PUT A PRICE ON HAVING THE SPACE TO RELAX AND BREATHE, AWAY FROM THE FRENETIC PACE OF CITY LIFE. WITH MEADOWS, MATURE TREES AND A WEALTH OF FLOWERS AND SHRUBS, A HOME IN THE COUNTRY IS A LOVELY CONTRAST TO A HOME IN THE BUSTLING CITY. 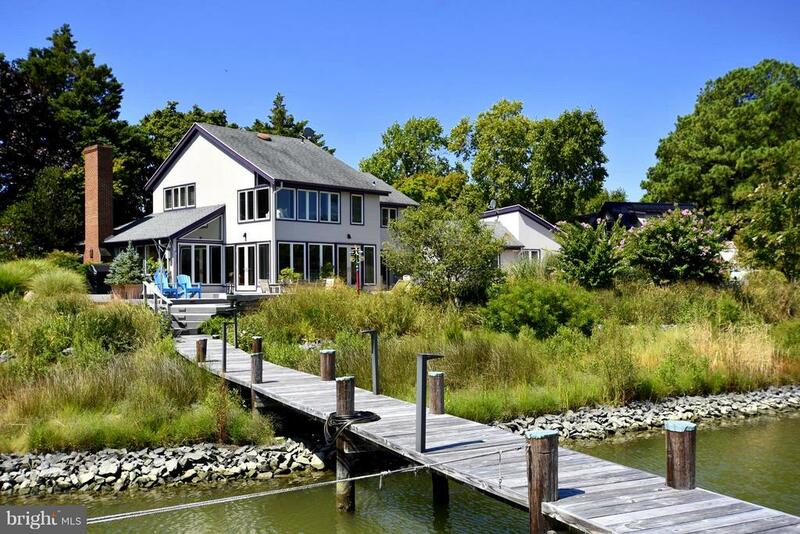 WHETHER HOME BUYERS SPENDS THEIR TIME ON THE WATER, HORSEBACK RIDING OR HOSTING A BEAUTIFUL GARDEN PARTY, THE OPTIONS ARE LIMITLESS IN THE EASTERN SHORE COUNTRYSIDE. EXQUISITE LIVING & ENTERTAINING & SPORTING PROPERTY - HISTORIC 18TH CENTURY RENOVATED GEORGIAN REVIVAL ESTATE HOME - 153 ACRES - 4000 ' WATERFRONT ON HARRIS CREEK & DUN COVE'280' DEEP WATER DOCK WITH CABANA - AWARD WINNING GARDENS - 2 GARDEN HOUSES - POOL, HOT TUB & POOL HOUSE - LANGDON MANAGERS HOUSE (1825') WITH COLLECTORS GARAGE - 18 HISTORICALLY SIGNIFICANT ACCESSORY STRUCTURES ON PROPERTY - TAXES - $25,857 - The legacy of Langdon Farm can only compare to the guests that have graced its halls. It is beloved by all of its owners and all who have been a part of its magnificent history. This colonial Georgian Revival home originally built around 1760 dates back to an original land grant from 1659. Transformed to a beautiful 12,000 sq. 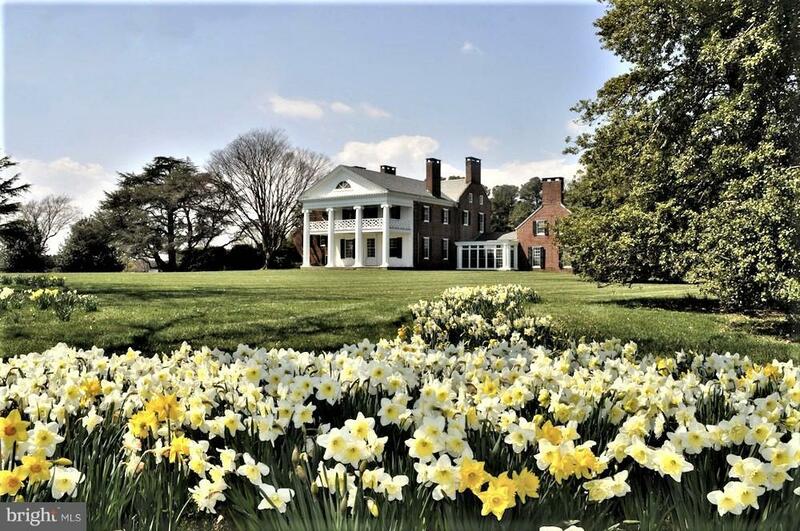 ft. Eastern Shore Estate with 11 fireplaces, 10 bedrooms and 6.5 baths, this 157 acre estate is the perfect retreat with true elegance and style. 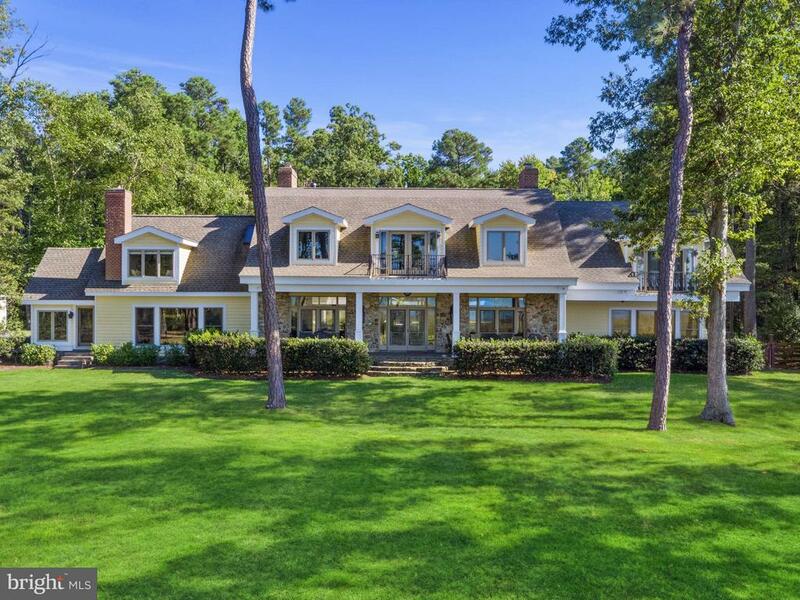 Additional amenities include award winning gardens, gorgeous potting shed, green house, pool and pool house, and a Jefferson building to take in the stunning views of Harris Creek. Additional improvements include a 4 car detached garage, 1825 sq. ft. guest home and additional 18 out buildings. The grounds and landscaping are breathtaking; perfect for the equestrian and set up for the sportsman. There is deep protected dock 280' (8' MLW) on Dun Cove with cabana and necessary features for a large vessel up to 165 feet along the four thousand feet"
"COMPLETELY REMODELED LUXURY WATERFRONT ON 50+- PRVT ACRES & 2000 FT OF SANDY BEACH! Rich amenities incl heated Pool, outdoor KITCH, DOCK w/2-10K lifts, rip-rapped. Inside, 7,800 SF of Living/Entertaining Space w/GOURMET KITCHEN, Banquet-sized Dining, Multiple GUEST Suites, Billiards, custom millwork, iron balconies, SPA-LIKE LUX BATHS, Wet Bars, SUNSETS! Make it HOME or a VACATION RENTAL $ INCOME!" "Beautifully renovated 3 BDR, 3BTH Contemporary with 1 BDR, 2 BTH Guest house on Duns Cove. Exterior features include; Pier, boat lift, deepwater slip, pool, greenhouse, meticulous landscaping, multiple decks & 2 generators. The interior includes open floor plan, gourmet kitchen, butler's pantry, fireplace, master suite w/sitting area & walk-in closet and amazing views on 5+ Acres. This property has it ALL!"